By offering a host of convenient services, our goal is to make it easier for you to access the banking options you need so you can concentrate on running your business. When you take advantage of the tools we have to offer — such as direct deposit, notary services, Debit BusinessCards and a variety of on-the-go banking options — you can keep your business running from anywhere. From time-saving online services—like online banking, bill pay, mobile banking, remote check deposits and ACH electronic processing and easier payment options with business debit cards, to in-branch services, like safety deposit boxes and notary services—use the tools that make your banking a whole lot quicker and more convenient! Online Banking allows you to be on top of your business banking accounts even when you’re out of the office. Online banking also includes the option of online bill pay and eStatements. Our Positive Pay and ACH Filtering service enables you to detect and mitigate the risks associated with fraudulent checks and ACH transactions. Our simple, secure mobile application allows you to access your Union Bank accounts and pay bills on the go from anywhere. Use your Debit BusinessCard for convenient, secure business purchases. With Union Bank’s Telebanking system, you can enjoy free telebanking around the clock anywhere in the continental United States. Direct deposit ensures that payroll distribution is handled smoothly and promptly. Employers can use direct deposit to transfer funds electronically from a payroll account to employees’ accounts at any financial institution, making the payroll process more efficient. A special overdraft service for Union Bank business customers. Overdraft Privilege offers customers a safety net by providing an automatically assigned overdraft limit amount. Union Bank can help you originate and receive electronic funds transfers (EFT) nationwide through the Automated Clearing House (ACH) quickly and easily. EFT is available for direct business-to-business and business-to-customer transactions. Union Bank can initiate domestic and international wire transfers to accounts at other financial institutions, ensuring quick and smooth transmission of funds. 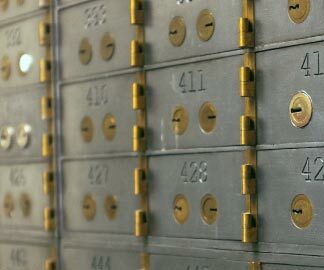 Night deposit boxes provide a convenient method to make deposits at any time — even if your branch isn’t open. Please inquire at your local branch office for availability. Safeguard your valuables — from jewelry to important original documents — with a safe-deposit box. Our on-location notary services make it easy to get important documents certified and recorded. Just bring your documents to your local branch and we’ll do it for you.